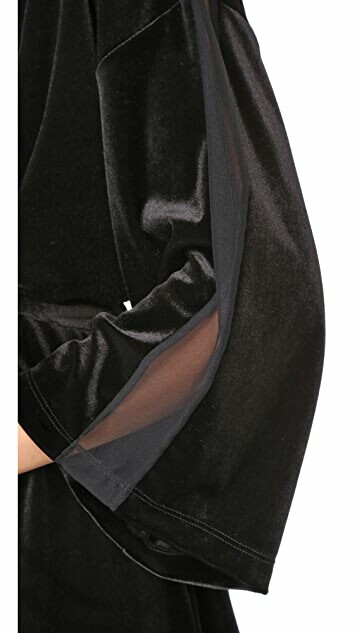 Mesh panels trim the sleeves of this short Only Hearts robe. Open placket. Optional ties. Dropped shoulder seams.